755nm diode laser hair removal machine use the most popular 755nm diode laser which replace the solid state Alexandrite diode laser and have a more comfortable treatment.It is more effective for melanin to absorb 755nm diode laser than 808nm,which is good for villi hair removal when people use 755nm diode laser treatment handle,and the treatment time is getting shorter. 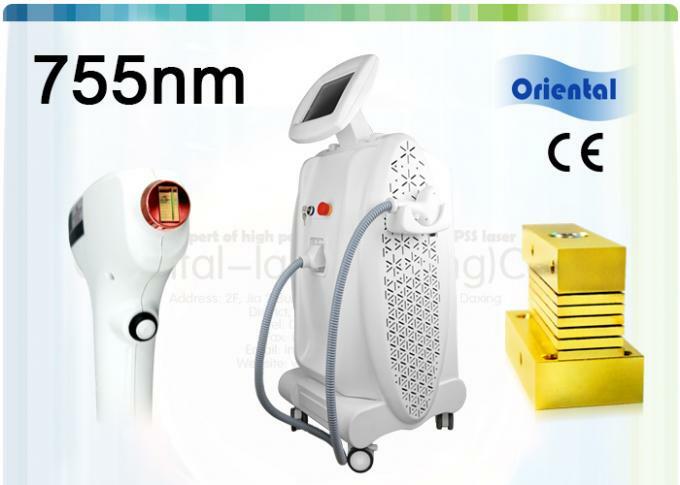 Oriental laser 755nm diode laser uses Germany imported 400W-1200W micro channel diode laser bars.The spot size are 11mm×11mm and 10mm×17mm optional and skin contact uses 2pcs TEC conduction sapphire cooling system. 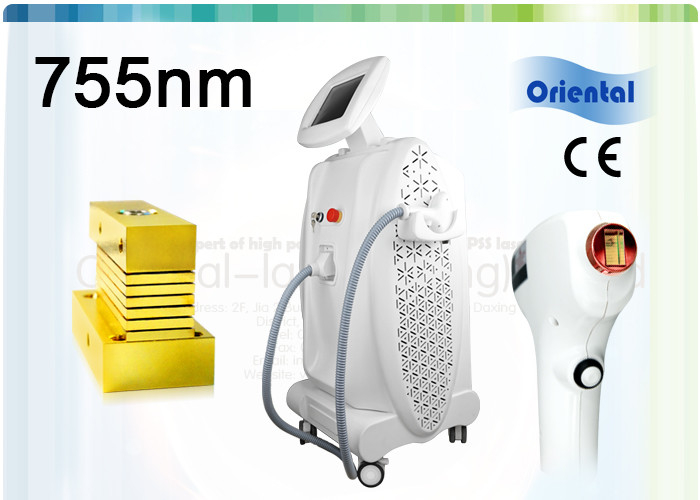 All these make the property of 755nm diode laser more stable and make the treatment safer and more comfortable. 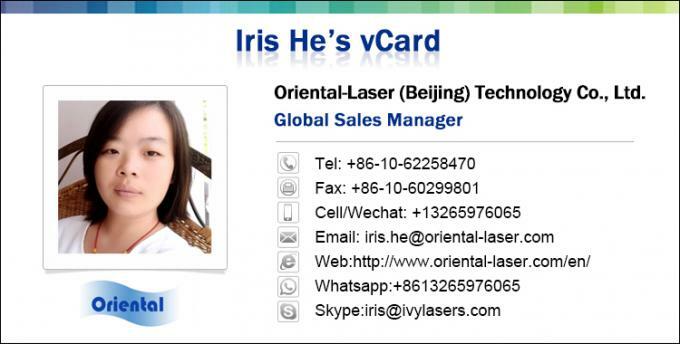 Besides the standard configurations, we can serve OEM service for multiple laser power. 4.Precision calculation to handle inside light road refraction angle makes sure high laser power output.